This report (click on the cover to download it), which reached its third issue, continues collecting information about the smart grid topics of research, the technologies and the standards used by European and international organizations that carry out smart grid activities at a laboratory level. For this purpose an online questionnaire has been created and used. The report presents aggregated results that give an insight into the state-of-the-art regarding the smart grid laboratories activities. This is the third release of the Smart Grid Laboratories Inventory, with the first two reports issued in 2015 and 2016. The aim is to collect information about the smart grid laboratories in Europe and beyond. The third release of the Smart Grid Laboratories Inventory has gathered feedback from 89 labs worldwide. The sample has been enlarged 1.3 times with respect to the previous release, resulting in 89 labs in total, with 20 of them comprising the new sample. Out of these 89 labs, 69 are located in Europe and 20 outside. For this version, approximately 150 labs have been contacted and invited to participate in our survey. The vast majority of them are located in Europe and North America, whereas we also spotted some labs in other regions, like China, Japan, Australia, South Africa, etc. This report complements the contribution of the JRC to the evaluation of ongoing Smart Grid developments. Other works have been carried out towards this direction, like the Smart Grid Projects Outlook (since 2011), where the European smart grid projects are presented and described, the inventory of Distribution System Operators in Europe, the assessment framework for the identification of Smart Grid Projects of Common Interest (PCI), and the Cost Benefit Analysis of Smart Grid Projects. Generation and Distributed Energy Resources (DER) (85.2%), Demand Response (75%), Grid Management (75%) and Storage (70.5%) are the main focus of the lab activities. There is an increased interest in Generation and DER, ICT and Electromobility. The sector to which most of the work is addressed, is utility (70.5% of labs conduct research for it), with industry and academia following with 66% and 65% respectively. Technology development, R&D of equipment, standards development and prototype testing are fields on which more than 70% of the labs work on. 90% of the labs have their research activities on the distribution grid, whereas the islanded grid and the transmission grid are the ones to follow with 60% and 57% respectively. Almost 1/3 of the labs have spent between EUR 100,000 and EUR 500,000 as initial lab investments. Almost 1 out of 10 labs (11%) has dedicated investments of up to EUR 4 – EUR 5 million for the lab setup. The period in which these investments are spanned varies; however, almost 4 out 10 labs (38.5%) have performed the investments throughout 2-3 years. 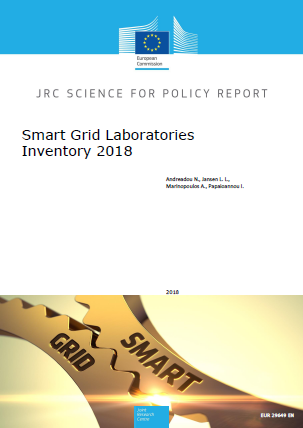 JRC has the objectives of making the smart grid lab inventory a periodic exercise. The report will contribute to analysing the trends in the smart grid field, thus constituting a valuable tool for identifying the technological gaps and guiding future funding programs. The online website is expected to increase visibility for the participants. It will become a tool to track smart grid activities carried out in the laboratories thus fostering collaborations between smart grid stakeholders and the participants. With the increase of the survey participants the value of the results will increase. This will be the basis for the key message to all willing to contribute to the inventory: the usefulness of the collective effort facilitated by the JRC highly depends upon the quality of the information provided by the participants. 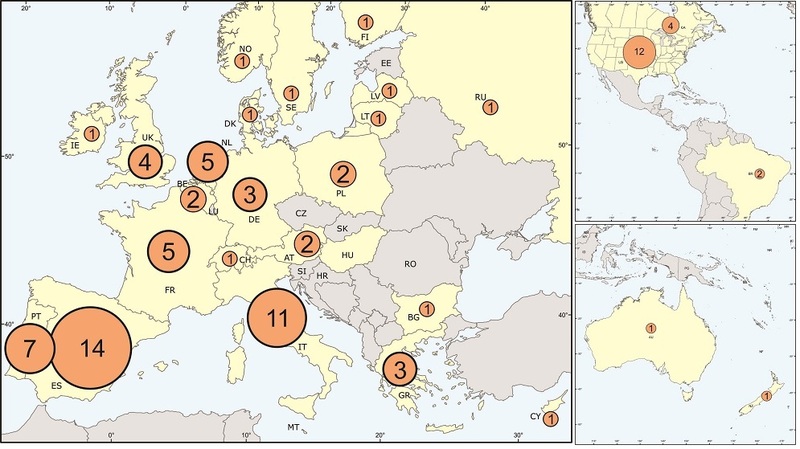 The following map illustrates the laboratories distribution in Europe and beyond, according to the data collected in our survey.